Buying a brand new fishing set is something which is particularly exciting and a lot of fired up fishing enthusiasts are pretty much looking forward to it. Of course, this doesn’t mean that it’s something that you can get done light-handedly. This is a process of choosing which is going to require a lot of aforethought, consideration and effort. This is something which would also require you to be well aware of different specifications when it comes to the rod as well as to the reel. To start off, you need to determine the type of fishing that you are going to be going for. Different fish are going to show different resistance and pressure and you need your equipment to be capable of answering accordingly. This is where we come into the picture to provide you with a helping hand. 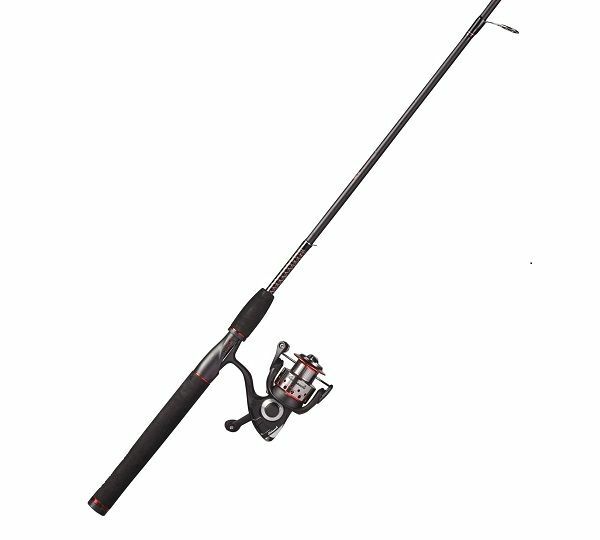 We are here to take a look at the Ugly Stik GX2 Spinning Combo. This is an entire set made out of a spinning rod and a spinning reel. It’s going to save you quite a lot of time looking for both of the components individually and you really don’t need to be an expert to understand that it’s worth it. There are a few different things that you have to consider when determining the overall designation of the rod and the reel. Mainly, you need to know what kind of fish they are capable tackling. With this in mind, this particular combo is rather extruded and reliable, which means that you can fish both offshore and inshore and you can tackle some serious cats. This is definitely something that you might want to take into account. This particular unit comes with medium power and action speed which is something that we are going to take a look at further below. Now that we’ve established that the entire combo is reliable and tough, let’s have a look at the components individually in order to see whether or not the combo is as reliable as it claims to be. There are a few different things that need to be accounted for when it comes to a convenient fishing combo. Power – this is a medium power and medium-fast action rod. This is something very important. The medium power means that there is not as much resistance on behalf of the rod which is required for the rod not to bend. This means that the rod will eventually bend but under a lot of pressure. This means that you might not be able to tackle really big fish but you should be more than okay with smaller and averagely large game. This is why the rod is good for both inshore and offshore fishing. Action – the medium-fast action means that the rod is going to bend from the half-way line onwards. This is also something which determines the overall capabilities of the fishing rod. Also, the action is a characteristic which determines how quick the rod is going to recover to its original form. The medium-fast action means it’s going to do so moderately quickly. The first thing which deserves attention when it comes to the reel is the spool. It is made out of particularly durable double-anodized aluminum and it comes with an oversized ball wire. 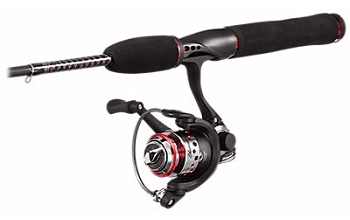 The reel is as tough as the rod itself. This is one of the things which you want to account for when determining the overall capacity of the rod. Every single model comes with two pinion bearings which are going to ensure that the overall wear on the internal parts of the reel is reduced to a minimum. Anyways, it is safe to say that this is a unit which is going to provide you with a tremendous amount of different capabilities. If you are looking for something which will enable you to go for some serious cat fish and other moderately large game, this is definitely a combo to consider. 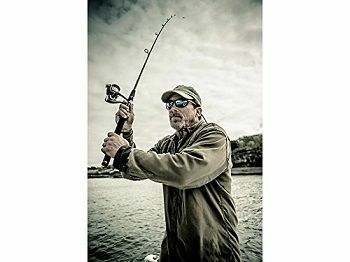 It is going to spare you a significant amount of time looking for the right option and it is a combo which is worthy of any entry-level and even advanced big-game fishermen. This is a solution which is also coming at a fairly acceptable price which is definitely something that you want to account for when it comes to it. What is more, there are a lot of different variations in terms of power that you may consider.